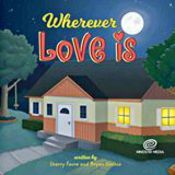 Includes "Wherever Love Is" book, "Bugs For Lunch!" CD, and "Worms in the Bread!" CD (a $43.97 value) ALL for only $29.99! Price includes all packaging, postage, and sales tax!! Note: If you have any questions about how to total your order, or about larger quantity discounts (I'll cut you a deal! ), or if you'd like me to sign any of the items in your order, please be sure to either send me an email message through this site or call me at 608-577-8716.